CEO of Siemens UK, although these are my personal thoughts, especially relating to anything engineering, industrial and digital! A technology World First at the Goodwood Festival of Speed! This week, I will be at the Goodwood Festival of Speed. I am incredibly excited and slightly anxious about our attempt to pull off a World First – the first fully autonomous hill climb using the latest digital technologies, 3d mapping and sensors in a 1965 Ford Mustang. Twice a day we will be getting the classic car up the race track, each time capturing data, learning and improving with every run. This is a totally unique moment in the history of racing and I can’t wait to be a passenger myself! 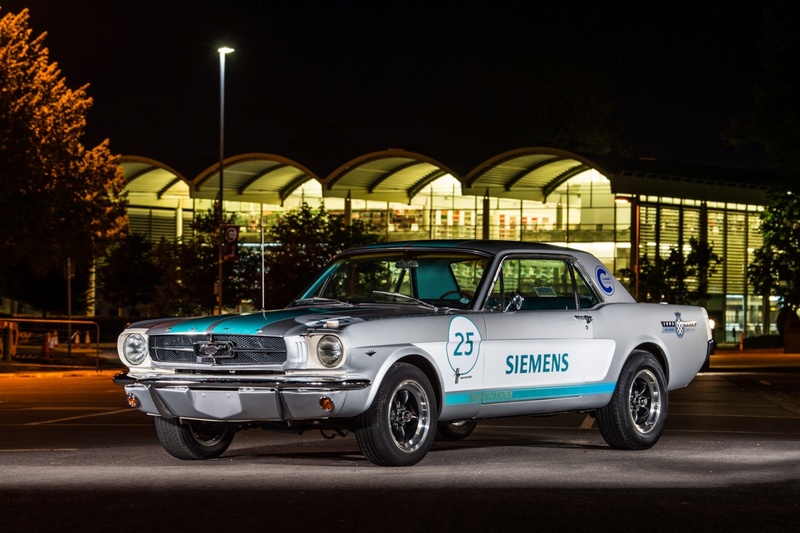 We at Siemens are delighted and proud once again to be a primary partner at the 2018 Goodwood Festival of Speed. It is a landmark event that showcases the incredible evolution of the UK automotive industry. It will allow the public to enjoy first-hand some of the timeless motoring classics that enthrall car enthusiasts, as well as highlighting the latest thinking around how innovative digital technologies are, today, helping to disrupt, reshape and transform the automotive sector. With our contribution this year, we are blending the past and the future to create something fun, futuristic and inspiring. We are taking the best of classic automotive engineering and pimping it with the latest and best autonomous technology. And we’re doing it to inspire people, especially young people, to see that engineering and digitalisation can make anything possible. Through our Digital Technologies, we are helping revolutionise car design using virtual reality techniques. We are developing new, radical composite materials to make F1 cars even more efficient. And we are bringing together virtual and real worlds thanks to digital twinning. Our hi-tech design and simulation software is challenging previous thinking and enabling new approaches to be taken within one of the UK’s most globally appreciated sectors. And whilst all this is applicable to the automotive industry, the wider societal impact of digital technology and its power to transform society for the better is a much wider and more fundamental question. I’ve always believed that we need to move beyond the common narrative that, for example, focuses too heavily on ‘robots stealing jobs’ and, instead, use our imagination, vision and technology prowess in a way that supplements and not replaces human intelligence. We can meet old challenges in new ways, and that is embodied in the spirit of our attempt to get a classic Mustang up the infamous hill climb. Digitalisation – the technology focus behind Industry 4.0 – has the ability to transform not only the way we design and produce cars, transport systems and enhance the overall mobility of populations, it can also improve other important areas of our lives, ranging from healthcare to education and beyond. The next industrial revolution has the power to transform the UK into a highly productive and innovation-based economy; one where more skilled and better paid jobs are created, new business models born and economic prosperity supported. Many of these technologies will be on display on the Siemens stand within the Future Lab at Goodwood so the public can see them first hand, as will see how racing is pushing the UK’s innovation edge further and further with every day. I want everyone to see for themselves how a powerful combination of human ambition and visionary technologies can set us on a path to a healthier, wealthier and happier future for all. And it promises to be fun, exciting and a chance to see the future first hand. Please come say hello us all to Siemens at the exhibition in the Future Lab at the festival! An open letter to UK Members of Parliament at this time of Brexit Crisis! Don McCubbin on An open letter to UK Members of Parliament at this time of Brexit Crisis!